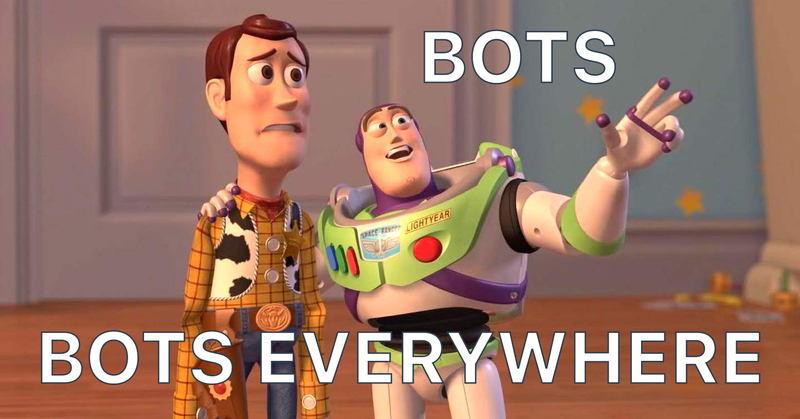 It’s clear that bots are having a moment. Even before Facebook legitimized them with the Bots for Messenger announcement at #F8 there had been a flood of investment, discussion, controversy and backlash (already?! yes — it’s never too early to complain!). On the one hand, chat bots are nothing new. They’ve been around since the 1960’s and the days of ELIZA. But suddenly the tools to create meaningful, personalized conversations are easy enough to deploy at scale. We have APIs, the ability to continuously monitor and parse messages for relevance, and enormous messaging platforms for distribution. Now that the piping exists, teams are left to work on more interesting questions related to the design, functionality and personality of these experiences. To get a sense for the bot world I decided to try my hand at making one. I signed up and tested all the kits I could find but since I’m not a developer and only know the bare bones of HTML, CSS & JS I couldn’t get very far with most of the builders. Builders like Howdy’s BotKit, Microsoft Bot Framework, Kik Bot Kit, Gupshup, Api.ai, and Wit.ai were basically non-starters due to their technical requirements. I was able to get going pretty quickly with a few other messaging services including TextIt (whose visual editor I loved! ), Sonar and Smooch. Botwick, the spreadsheet Twilio connector out of Betaworks, was also pretty easy to configure. The simplest platform to create a bot on today is Telegram. Using Bot Platform 2.0 you can set up a basic bot in minutes thanks to the BotFather. There’s even inline keyboard functionality and if you’re not a programmer you can get guided through the setup process using Manybot. Unsurprisingly, crafting compelling conversational flows is really hard. Probably the hardest part of the entire process. Being able to add flair, intrigue and personality is a different skill set than is typically found in Silicon Valley. Companies who gets serious about messaging will need to hire storytellers, comedians, and Hollywood types because strong narratives will make or break these products. Selecting and investing in tools that offer cross-platform functionality provides the most bang for your buck. My goal was to create something simple so I figured I’d tackle a subject I know well — me! LinkedIn profiles haven’t changed much in the last decade. Sure, they’re more attractive than resumes but they aren’t much more engaging. It’s essentially just a list of dates, titles, and buzzwords — which is perfect for weeding out 90% of candidates. But once you’ve found an interesting candidate how do you tell if she’s looking for work? How do you determine if he’s a cultural fit? What if you want to see examples of their work? I figured a bot could step in at this stage of the recruitment process because bots can easily answer recurring questions (let’s face it: recruiters all basically ask the same things). Bots can also provide more context for line items on a resume, and give a sense of someone’s personality. To be clear: I think in the not-too-distant-future bots could offer up compelling introductions to a person — not just for work recruitment, but for anything. OkCupid is famous for its database of questions and answers. It’s what its matching algorithm is based on. You could flip it on its head and turn all of those answers into a bot. You could ask who they’re voting for, what issues they’re passionate about, what kind of activities they like doing, and even where they’d recommend eating brunch. Instead of asking the person you could just ask their bot. A bot can provide answers to thousands, even millions, of questions — without breaking a sweat! A resume is essentially a dating profile for work. If my bot were a just a little smarter it could both answer questions and ask me new ones, fielded from recruiters. In that way, it would be an automated intermediary. Imagine if LinkedIn introduced bots that were fun — providing questions and offering answers. With the introduction of creative bots, LinkedIn could become as good as OkCupid. Instead of algorithmically connecting people for dates they could connect them to uniquely relevant opportunities. I started out by mapping a conversation tree on paper but you should use a more sophisticated tool, perhaps something like MindNode, if your interactions are more complicated. After running a few tiny tests on various platforms including inside of Twitter’s DMs, which felt awkward. Weird even. Somehow the content didn’t fit on that channel. So, after some handwringing I settled on Facebook Messenger, Telegram and SMS as the locations for interacting with EstherBot. I used Smooch because their documentation for creating a bot was clean and clear. Plus, they had the key integrations I needed — Twilio (for SMS/MMS), Messenger, and Slack (for tracking conversations). I didn’t need any of their other integrations but loved that I could change my mind and add other platforms down the road, if I wanted. Under the hood Smooch connects to a ton of other channels: Android, iOS, Facebook, Shopify, Telegram, WordPress and the web. You can accept payments with Stripe or choose from a bunch of other services to streamline the customer support side of things by turning on Help Scout, HipChat, Zendesk, or Front. How To Make Your Own Bot, Right Now! I made a few tweaks to the Smooch example code and simplified the instructions. Don’t be intimidated by the fact that you’ll be using GitHub. I promise if you’re excited about making a bot you can do it using this method. You don’t need any coding skills at all. Create a free Smooch account. Use the drop down menu on the left and Create a new app. Determine what messaging channel to use and connect it. In my case, I used Twilio. Sign in to GitHub and go to EstherBot. Click on “Fork” (this just means you’re copying the files to your account so you can edit the files as needed). Follow the five steps in the README document, which give you a web based chat app. Teach your bot to talk by editing the script.json file that’s now in your GitHub account. Voila! You have added another (probably mundane and useless) bot onto the internet. What’s your take? Are bots and conversational UIs the most exciting thing to emerge since the App Store revolution? Will there come a time when we all have bots acting as intermediaries? Bots are awesome! Humans? Not so much.